Otis is the name! I know, silly name for a girl — but a lady kitty is what I am and a super sweet one at that! I am about 4 years old and am a total ham for attention. I don’t mind being picked up and held, just as long as you’ll cuddle me and make me the center of your world. 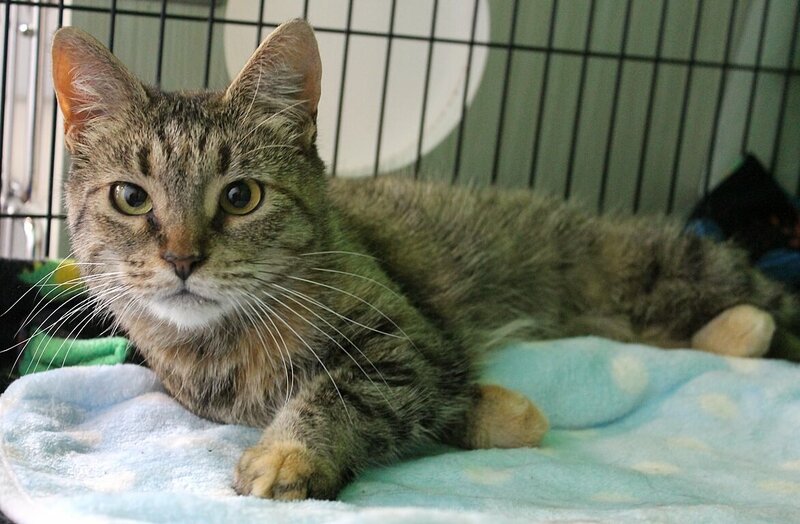 I was rescued after being left behind and although the kind person who rescued me really wanted to keep me forever, she realized pretty quickly that I’m not really a fan of other cats — I need all of your attention, after all! Other than that, I’m friendly with most everyone big and small. I was forced to live entirely outside for awhile so it’s likely that I won’t need to adventure out there again, and would probably be totally happy as an indoor kitty where it’s warm and I have a human’s bed to cuddle in. At only 4 years old, I’m still very playful and peppy and will make a really wonderful companion for most any cat-free households! I don’t have a ton of experience with dogs but could probably acclimate to a mellow one as I don’t have much of a reaction towards them. Don’t you think I could be the pop to your corn? The perfect partner for the cold winter months ahead? 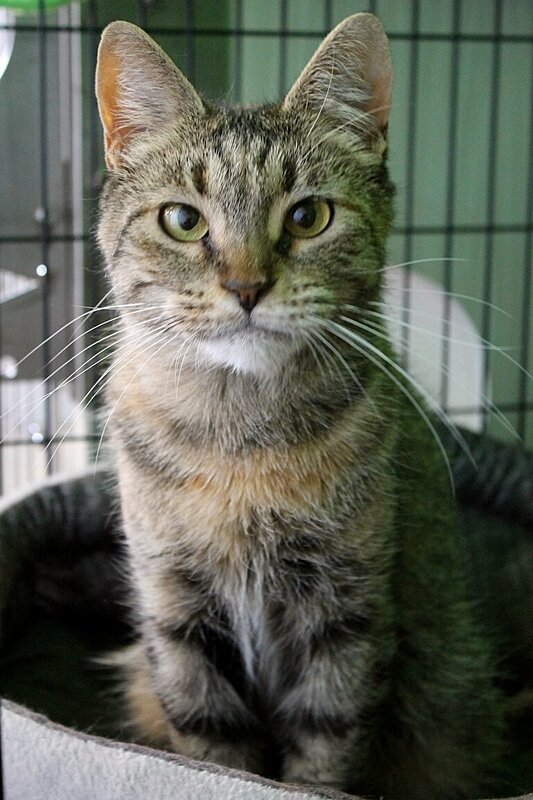 I’m currently living at Petco on SE 122nd and Division, and I hope to meet you soon! I come to you fixed, vaccinated, and micro-chipped for an adoption fee of $100.